SCONUL is now inviting applications for the 2013 Library Design Awards. The SCONUL awards are distinctive in being made by a library body in recognition of newly-designed spaces which function effectively in meeting the needs of users and library staff, and which also meet the demanding requirements of a modern learning and research environment. The awards will identify and celebrate examples of best practice in the period 2009-2012. 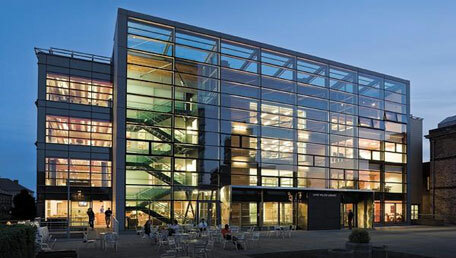 Previous award winners have included the University of Leicester Library, Trevithick Library at the University of Cardiff, and the Sir Michael Cobham Library at the University of Bournemouth. It should have been completed between January 2009 and 30 June 2012. All types of building projects: new buildings, extensions, conversions and refurbishments will be eligible. Any library, learning centre or learning resource centre which a SCONUL member library manages is eligible. Submission information and criteria on the SCONUL Award web pages.